As lawyers, we regard the imprisonment of Joshua Wong, Alex Chow and Nathan Law in Hong Kong as a serious threat to the rule of law and a breach of the principle of“double jeopardy” in Hong Kong– in violation of the International Covenant on Civil and Political Rights. These student activists led the Umbrella Movement in Hong Kong in2014– one of the most peaceful public protests the world has seen. Joshua Wong, Nathan Law and Alex Chow were already punished by a court a year ago. Joshua and Nathan respectively served80 and120 hours of community service, and Alex received a three-week suspended sentence. Yet the Hong Kong government decided to reopen the case and sought tougher punishments. The law under which they were charged, the Public Order Ordinance, has been criticized by the United Nations for“facilitat[ing] excessive restrictions” to basic rights, and is incompatible with the International Covenant on Civil and Political Rights（ICCPR）, which applies to Hong Kong. Human rights organisations have long urged Hong Kong to revise the ordinance to comply with the ICCPR. Serious concerns over the independence of the judiciary arise. Court of Final Appeal judge Kemal Bokhary warned of“storm clouds” over the judiciary five years ago. Hong Kong’s judges want to protect its independence, but they face increasing pressure from Beijing. In2014, China issued a White Paper declaring that Beijing has“comprehensive jurisdiction over Hong Kong”– instead of“the high degree of autonomy” provided for in the Sino-British Joint Declaration and the Basic Law, Hong Kong’s constitution. China also announced that Hong Kong’s judges are merely“administrators” who must love the country and be"subject to oversight by the central government”. 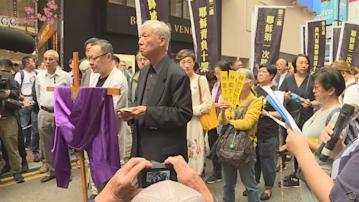 The independence of the judiciary, a pillar of Hong Kong, risks becoming a charade, at the beck and call of the Chinese Communist Party. Hong Kong’s rule of law and basic freedoms, at the heart of the principle of“one country, two systems”, now face grave threats. Patrick Burgess Australia– former head of human rights in the UN in East Timor and President of Asia Justice and Rights（AJAR）. Processed in 0.035711 second(s), 8 queries, Gzip enabled.